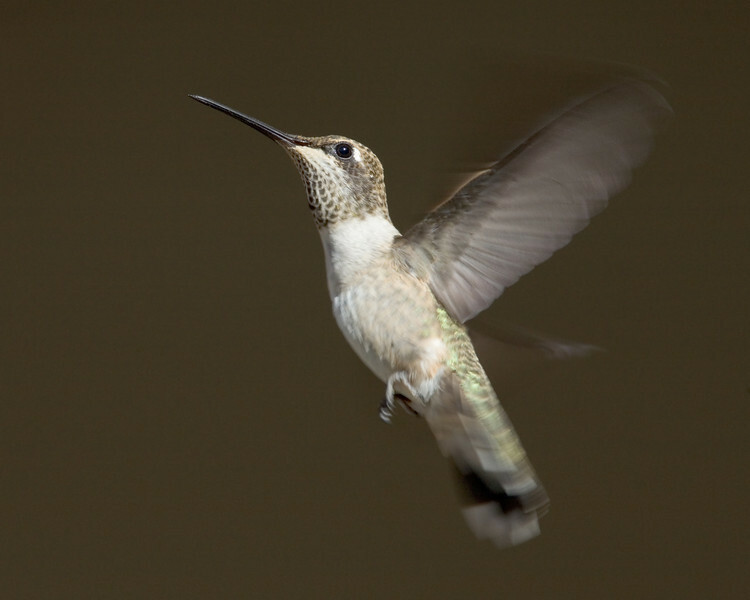 The photos of the songbirds, raptors, hawks, owls, waterfowl and hummingbirds were taken from Atwater, Merced and Los Banos. 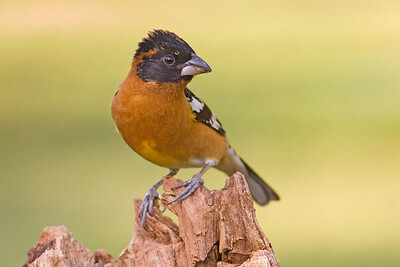 All of my bird pictures are available for sale as fine art prints or for stock photography licensing. Hey! You Talk' to ME? Went up the street this evening and I was able to take a few shots through the chain link fence. I wasn't sitting on my chair this time...I stood up and grabbed my left hand on the fence (just in case) and got a few good photos this way. I filled my bird feeder and made a crude blind using my walker and the cover from our grill. I used an old tripod and fastened a stick to it for a realistic perch and sat at the back porch step....waiting. I was pleased with the results! I was looking for a photo that said "morning" for a weekly assignment at OutdoorEyes. So as I was driving to work one morning I saw the sunrise just about the same time I got to the San Luis NWR (Bear Creek Complex). I quickly got the camera and took this shot. Just bought by new 5D and I had a chance to go up to Yosemite for the afternoon. Unfortunately it was cold and raining and the kids weren't very cooperating. 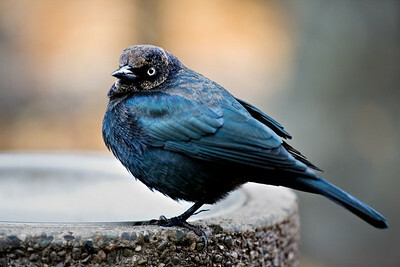 Did get a Brewer's Blackbird at the Yosemite Village before we left. 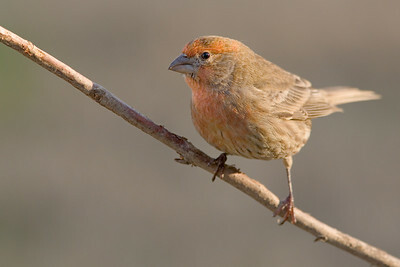 Saw this House Finch in the side yard and I just love the expression and the cute factor too! 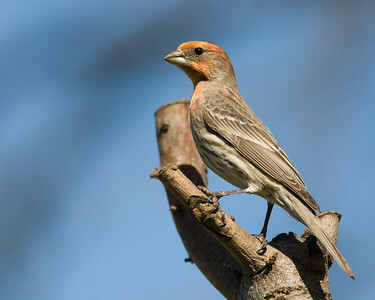 I got a male House Finch "Orange Morph" in my back yard this afternoon. Glad he posed for a picture before flying away. 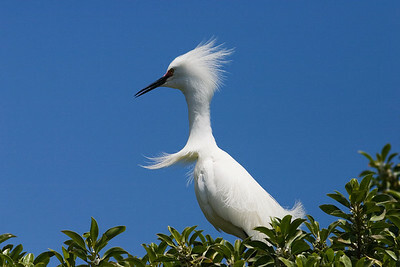 Had a chance to photograph some Snowy Egrets at the Palo Alto Baylands. 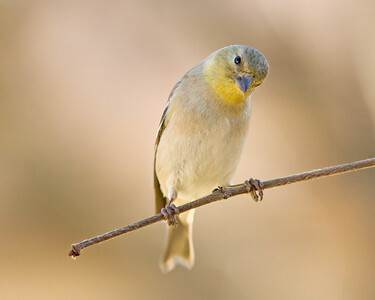 While I was waiting for the normal House Finches or Juncoes to land on my pre-arranged perch, I looked to my right and I saw this Female American Goldfinch just sitting here. I was so happy to capture this little gal...my first! Took the kids out to the San Luis NWR to watch the Tule Elk on Sunday. We had a good time and they saw about 20 Elk that day. 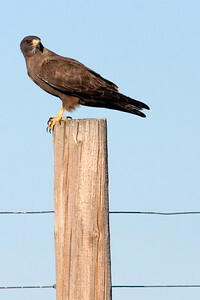 As we were driving I spotted this Swainson's Hawk (I think) on a fence post. Unfortunately we were trying to move the van closer, but he flew away before I got another shot. 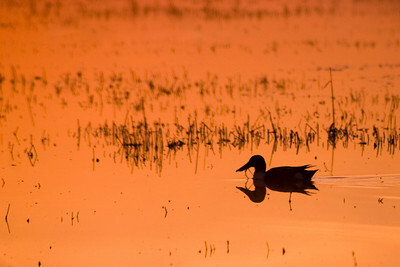 Went out to the Merced NWR last Thursday, they day before my surgery. The kids got bored as soon as we got there, but daddy had a good time! 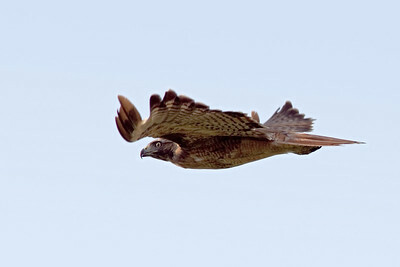 I was able to capture this Red-Tailed Hawk as he flew above me. 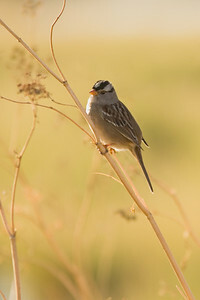 I went out to the Merced NWR hoping to photograph some shorebirds, but I couldn't resist capturing this White-crowned Sparrow from my car window. 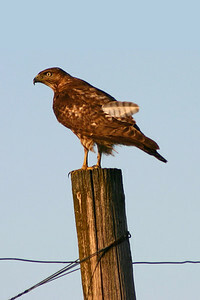 While we were driving along the Merced NWR loop my wife spotted this Rufous Morph Red-tail Hawk on this sign. Got one shot through the windshield and shot three more shots as he flew away. 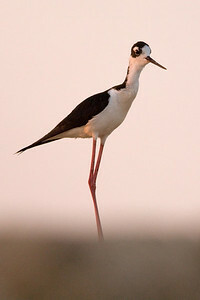 This was my first BIF (Bird in Flight) while standing! 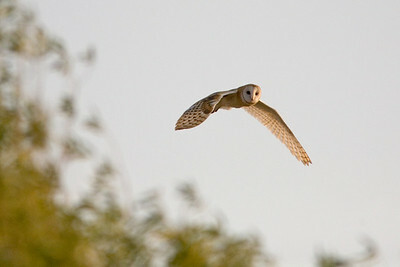 While I was on my walk I was able to photograph a Barn Owl in flight. Almost fell over as I was not used to walking, but I got it! 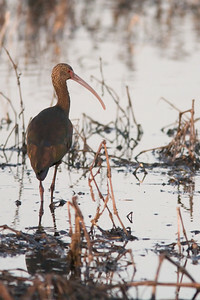 Went out to the Merced NWR to take a few photos of the wildlife. 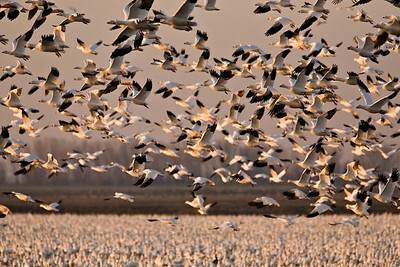 I went up to the viewing platform to see all of the Snow Geese there. 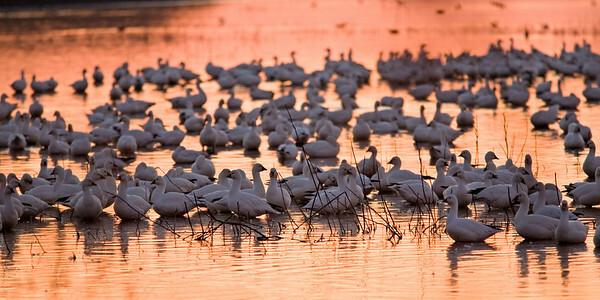 Went out to the Merced NWR last Thursday, they day before my surgery. The kids got bored as soon as we got there, but daddy had a good time! 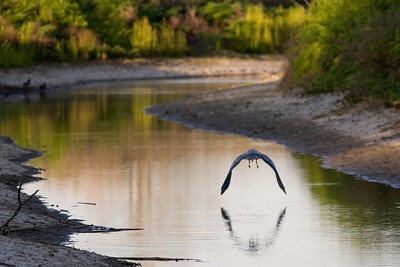 I was able to capture this Great Blue Heron (GBH) as we were leaving. Wish I was closer, but this is my first GBH so I was happy with this one. Tried photographing some hummingbirds underneath the back porch. 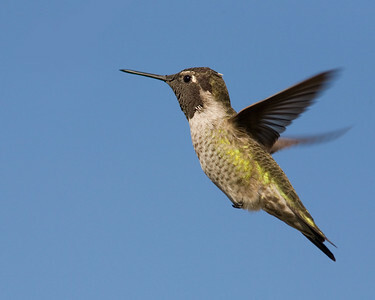 This little lady is called a Anna's Hummingbird. 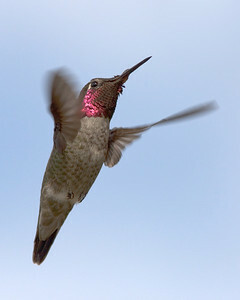 I moved my hummingbird feeder to the corner of the porch this afternoon. I was hoping for some 'red colors', but maybe next time. At least I found a good blue background....sky! I had been photographing the wildlife this afternoon and wheeled up to one of the viewing platforms just to see the sunset and to look at the thousands of Ross' and Snow Geese this evening. I tried to photograph a couple of them! 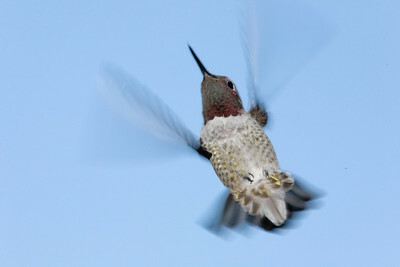 I was finally able to capture some of the colors of this male Anna's Hummingbird this afternoon! ...their picture taken! 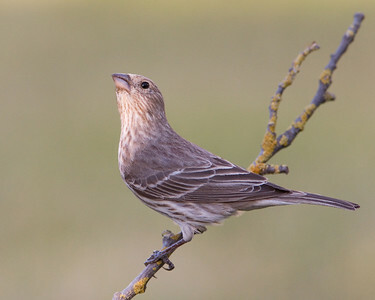 I woke up early this morning (7am) to try and take some photos of the songbirds. I didn't plan on getting any hummingbirds. In fact I didn't even have my tripod attached to the camera (technically the lens)...but I couldn't resist! 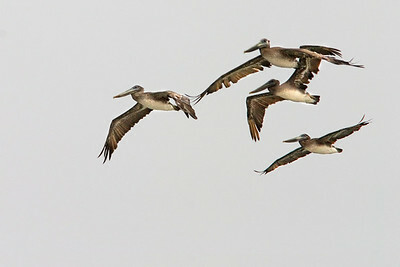 Went out to the Merced NWR this afternoon. 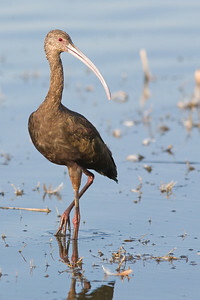 I was happy to see this White-face Ibis feeding close by the shore and at times he was too close! I must have stayed here for about 15 minutes and took nearly 70 pictures. This guy cooperated by posing for a brief second! Dark-eyed Junco - "Oregon Junco"
Probably one of my favorite little birds. 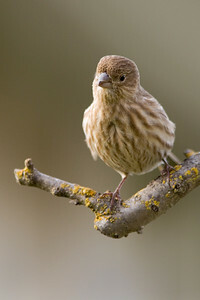 Usually I see them feeding on the ground, but occasionally I see them perching on a stick or twig. 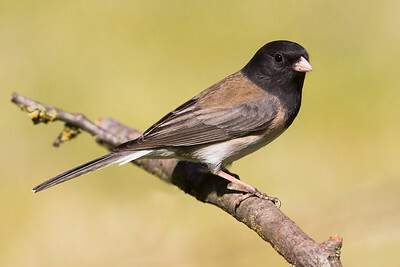 Today I finally got a picture of this male Junco perching on this branch! A Finch Crossing the Delaware River? He kind of looks like George Washington crossing the Delaware River doesn't he? What a great day! I've been hearing and seeing this guy at my feeder for a while. This afternoon I saw him in the trees looking my way (my feeder/station/blind). He flew right to the old tree, filled with my peanut butter 'suet' mix and got a few pictures! 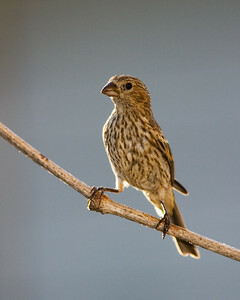 Saw this female House Finch in the last daylight before dusk. 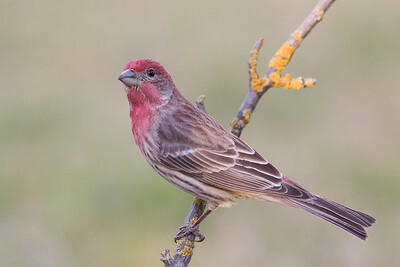 Saw this male House Finch in the last daylight before dusk. 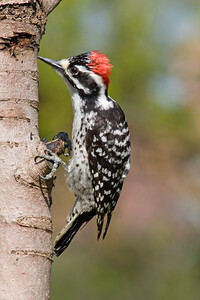 Since my Nuttall’s Woodpecker has found my tree, I can now focus my attention for some different poses from this guy. 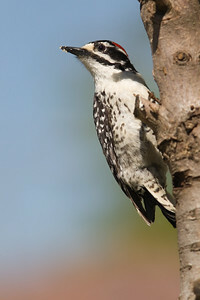 Since my Nuttall's Woodpecker has found my tree, I can now focus my attention for some different poses from this guy. 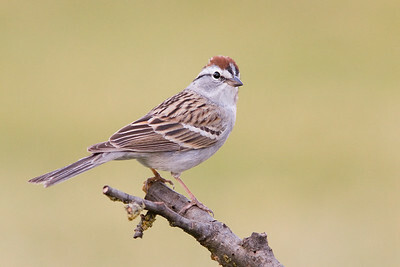 Saw my first, and only, Chipping Sparrow this evening. Wish he'd come back. 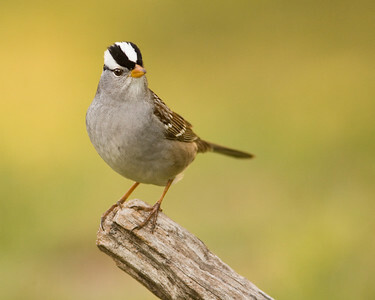 I love the White-crown Sparrows and their hair cuts. They look so tough! 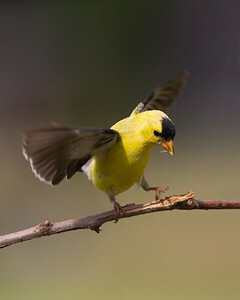 Here's a dancing American Goldfinch at the hoe-down....heee-haaaw! 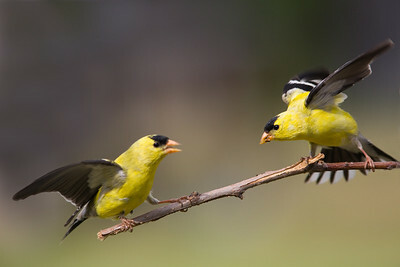 I was happy to capture these two male American Goldfinches fighting over a branch. 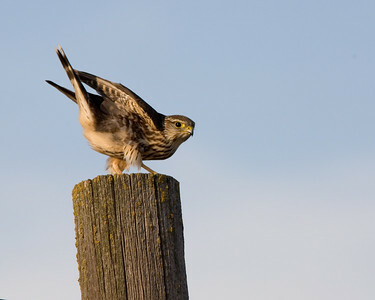 I captured this Merlin on one of the fence posts at the San Luis NWR. I was watching him finish dinner and I was able to capture this image before he took off. 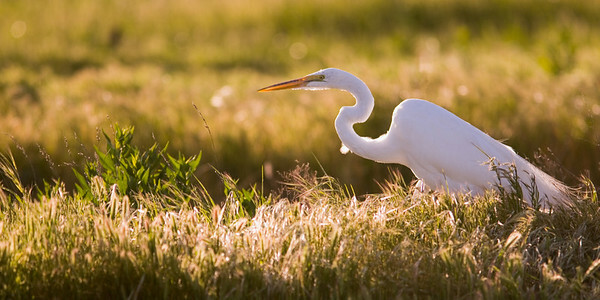 I saw this Great Egret stalking something in the weeds at the Merced NWR. I had to shoot this from the passenger’s seat, but at least he didn’t move. 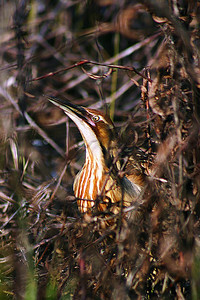 From 2005...This is one of my first wildlife photos. I didn't even see him (she) until I has right there, looks like a stick. I was in my car and took a few photos. 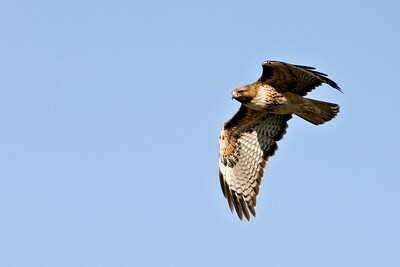 My first Red-Tail Hawk taken from the window of my car.